Why is Strategic Planning Important in Creating a Messaging Strategy? 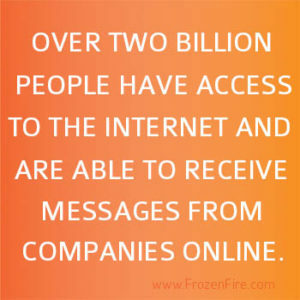 The digital age has revolutionized the way companies communicate. Face-to-face meetings and phone calls are frequently replaced with e-mail, chatting, and online conferencing. Marketing products requires a completely different outlook as well. 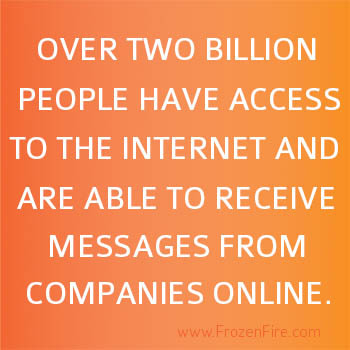 Over two billion people have access to the Internet and are able to receive messages from companies about products and services online. In terms of sheer impressions potential, the Internet leaves other marketing platforms far behind. But with change comes the need for adaptation and innovation. There may be a horde of Internet users available to you, but only a select audience contains potential customers needing your service. Why Does My Company Need a Messaging Strategy? How do you communicate effectively both within your company and your digital marketing efforts? How do you pull your potential customer base to your website and ultimately your revenue stream? You need a messaging strategy, a guide that helps you create consistent communications and an effective big picture that helps measure the success of your strategy and company vision. Concept-driven strategic planning is a vital first step to creating a clear and focused messaging strategy. A myriad of factors affect everyday communication and strategic planning encourages you to look at your business from several different angles, and find the messaging strategy that allows you to communicate consistently with everyone from clients to personnel. During your messaging strategy development, you will explore the practical aspects of how the new set of rules will be implemented. How will your messaging strategy affect your communication plan development? Will this strategy help you grow, or hold you back from adapting to new opportunities? How will your messaging strategy affect your digital and brand strategy development? A key aspect of your concept-driven strategy will include testing your messaging ideas against these questions. How Are Different Aspects of Strategic Planning Interconnected? Strategic planning allows you to take into account that today all forms of communication are interconnected. How you communicate to your employees affects how they sell your plans and services. If they do not understand your vision of the company, then they will not be able to communicate that vision to customers. Similarly, if your brand and digital strategy development does not mesh with your messaging strategy, the result will be corporate confusion, with one section of your customer-base having a completely different idea of what your capabilities are than another section. A customer that finds you online, and then follows up with a call and a face-to-face meeting, may be given three different and incompatible pitches. This is why strategic planning and aligning your brand, digital, communication, and messaging strategies is so important to corporations today. If your company is ready to receive the benefits of concept-driven strategic planning, Frozen Fire can help. Contact us to get the process started.